Lakeland Appeal Attorney & Lawyer Lawrence Shearer, PLLC providing professional Criminal Appeals and other Criminal Defense Services in Lakeland, Winter Haven, Bartow, Polk County, Highlands County, and Hardee County Florida. When an individual is convicted of a criminal offense, it may not always mean the conviction is final. It also does not mean that being convicted gives you grounds for an appeal. The criminal appellate process can be very complex and require the experience of an appeals attorney to review the court records to determine if there may be grounds to petition the appellate court to here your legal argument. An appeal is not a new trial, nor is it a forum to present new evidence. It is a hearing in which a review of the evidence, motions, testimony, or other legal aspects of your original trial are revisited to determine if your conviction was due to a viable error, laws which were overlooked that could have aided in your defense, or other injustices during the course of your criminal trial. 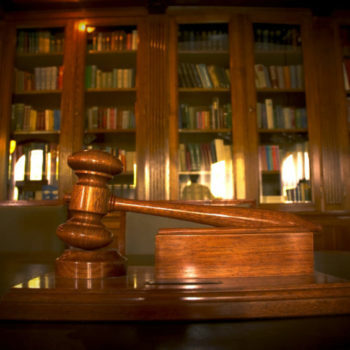 The appeals process can be is a much more difficult process than that of a criminal trial. In order to be effective in criminal appeals, your attorney must have a firm grasp and working knowledge of criminal and appellate law, and must often “find a needle in a haystack” to uncover even the smallest of details which may be used to show cause for an appeal. As a law firm that provides experienced criminal appeal attorney & lawyer services assisting Lakeland, Winter Haven, Bartow, Polk County, and Highlands County Florida residents with criminal conviction appeal legal issues, we are committed to protecting the legal rights of each and every client, while always striving to provide the highest standard of legal representation. 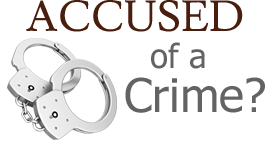 If you require representation regarding an appeal of a criminal conviction, make sure your legal rights are protected by seeking the legal advice of an experienced Lakeland appeals attorney & lawyer. Contact Lawrence Shearer, PLLC at (863) 665-6895, to schedule a confidential legal consultation. When grounds for an appeals hearing has been demonstrated, your legal counsel must still present your arguments to the appellate court in an effort to show that your ability to adequately defend your innocence was hindered and your conviction was a direct result of the issues argued in the appeals hearing. To effectively represent a client in an appeals hearing, experience is the key. This experience is not only in how to analyze a criminal trial to find grounds for an appeal, but also how to properly present and argue any allowable aspect of your original trial in the appeals hearing. Lawrence Shearer, PLLC aggressively defends the legal rights of those who seek a criminal conviction appeal in Lakeland, Winter Haven, Bartow, Polk County, or the Highlands County Florida area.